Secondly, the first disorder could influence the development of the second condition in a such manner that the additional disorder then runs an independent course. For example, the frequent use of high doses of substance could unmask a latent predisposition toward a psychiatric disorder. Similarly, a psychiatric disorder (e.g. mania) could increase the risk for heavy use of substances, an SUD that might continue even when the pre-existing psychiatric condition is treated or remits. use disorders might become a long-term problem, the excessive use of alcohol or an illicit drug might disappear when the pre-existing clinical syndrome is addressed appropriately. important implications [8,9]. The etiologies may be different (a factor of importance for research), as these “substance-induced disorders” are likely to have distinct clinical courses and responses to treatment. Comorbidity has been defined in a variety of ways. Some studies place an emphasis on ‘pure psychiatric diagnoses’, defined as a psychiatric condition observed in the absence of any other major diagnosis during the same year. approach where the first condition to develop is labeled as ‘primary’. The independent versus substance-induced distinction is an extension of the primary/secondary approach. It was developed in recognition that a psychiatric syndrome (e.g. 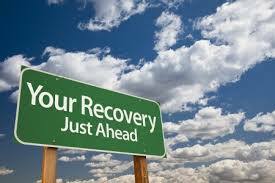 a major depressive episode) might also be identified during periods of abstinence. is required to be associated with great distress or impairment or if a simple endorsement of the symptoms by a respondent is enough to make a diagnosis. A similar problem can occur if the criteria did not include the need for some problems to have occurred repeatedly (an issue relevant to many of the criterion items for SUDs), or did not determine if the items clustered together during the relevant period. Studies also vary regarding their emphasis on syndromes occurring in the last year versus during the life-time. Differences across studies on any one of these items are likely to have a large impact on the results regarding the incidence, time course, and optimal treatment of comorbidities. require large numbers of non-clinician interviewers who can have difficulty interpreting the relevance of some complaints (e.g. mania), and demonstrate problems determining whether the symptoms were relatively mild and transitory (e.g. for some simple phobias) versus those relevant to a diagnosis. The need for so many interviewers also means that the problems reported by subjects are less likely to be reviewed by clinicians. 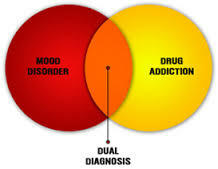 Other problems reflect the approach used to deal with what appear to be multiple diagnoses in the same person. This occurs, for example, when a subject endorses depressive symptoms, reports panic attacks and describes discomfort in social situations. In some studies these are listed as three separate diagnoses, but others establish a hierarchy, searching for one overarching diagnosis (e.g. major depression) that might explain the other complaints (e.g. temporary panic attacks and feelings of social discomfort). syndrome. These interviews might not be optimal for exploring more complex questions such as comorbid conditions, especially with regard to substance-induced disorders. No one study or single group of subjects can give the ‘true answer’ regarding the prevalence and patterns of psychiatric and SUDs. The timing of the evaluation is also important. For example, rates of comorbid psychiatric syndromes are likely to be temporarily elevated if substance-dependent subjects are interviewed during intoxication, withdrawal or the first several weeks of abstinence. These are times of highest prevalence of substance-induced disorders. It is also important to gather additional sources of data about subjects whenever possible. These include clinician reviews of all available information on a patient using additional informants (e.g. a spouse). These can be key in determine whether, for example, depressive symptoms reported in a follow-up were truly independent of substance use. Temporary depressive symptoms have been reported in the context of intoxication or withdrawal for nicotine, cannabinoids, opioids, hallucinogens and other drugs of abuse. Interviews with clinician review of diagnoses have documented that >40% of alcoholics have ever fulfilled criteria for major depressive-like syndromes, with almost 70% of these being substance-induced disorders. However, a large national epidemiological study using the AUDADIS diagnostic and lay interviewers without clinical supervision reported high rates of depression in alcoholics, but noted that few were substance-induced. These divergent results probably reflect different methods across studies as described above. Additional support for the relevance of substance induced mood disorders comes from prospective studies that suggest that heavy drinking at time 1 is likely to predict depressive symptoms at time 2. A 6-year follow up of 176 subjects reported that drinking predicted an increased number of subsequent transitions from functioning well to periods of depression (perhaps reflecting substance-induced mood disorders), while individuals with prior (but not currently active) alcoholism had no increased number of transitions to depression over time. In addition, 3- and 12-month follow-ups of almost 200 alcoholics revealed that only those who had returned to drinking were likely to demonstrate depressions. Finally, a follow-up of young subjects found no relationship between earlier heavy drinking and later AUDs, unless the individuals continued heavy drinking. Prospective studies of populations at high risk for depression or alcoholism also generally support the existence of substance-induced mood disorders. Results also indicate that independent major depressions tend to run a true course, and are not usually associated with later alcoholism unless, perhaps, there are alcohol-dependent relatives as well. Some studies have noted no increased risk for alcohol use disorders (AUDs) in children of depressed individuals. One study, an evaluation of ∼1000 16–25-year-old subjects in New Zealand, showed earlier drinking patterns were predictors of alcohol-related outcomes but not of depressive disorders. A prospective evaluation of two generations of 453 families of alcoholics and controls noted that an alcoholic relative predicted higher rates of alcohol use disorders, but not independent major depressive episodes. When substance-induced mood disorders are identified, they are likely to disappear soon after abstinence, a situation not seen with independent depressive episodes. Thus, overall continued abstinence in alcoholics is likely to be associated with a decrease in depressive symptoms. For example, follow-up of alcoholics with substance-induced mood disorders reported that the proportion with marked depressive symptoms decreased from 42% to 6% with 1 month of abstinence . A separate study of unmedicated male alcoholics documented that, for those with induced depressions, an average Hamilton Depressive score of 16 after 1 week of abstinence decreased to a score of six after 4 weeks dry, while similar decreases are not seen for subjects initially identified as having independent major mood disorders. Similarly, in another investigation the proportion of alcoholics with major depressive-like symptoms decreased from 67% to 13% over a month, without antidepressant treatment, findings supported by several other clinical observations. In addition, 85% of those with alcohol-induced mood disorders ran the course predicted regarding the temporary nature of the symptoms. A tendency toward diminution or disappearance of depressive symptoms with abstinence has also been reported for patient in care for stimulant or opioid dependence. To summarise, it appears that substance-induced disturbances are more likely than independent disorders to diminish and disappear with time alone. While the acute phase of withdrawal from alcohol lasts 4 days or so, this is likely to be followed by a protracted abstinence syndrome that can last several months or more . Here, while the alcoholic is not depressed all day every day (i.e. does not fulfill criteria for a major depressive episode), they are likely to experience insomnia, problems concentrating and irritability that improve with increasing time of abstinence. These are not, however, independent major depressive episodes. It is also worth noting that as many as 15% of any group of individuals (including alcoholics) are likely to show major depressive episodes as a reflection of the usual prevalence of these mood disorders. Therefore, in summary, most studies document substantial proportions of alcoholics and stimulant-dependent subjects have substance-induced conditions. Schuckit, M. A. (2006). Comorbidity between substance use disorders and psychiatric conditions. Addiction, 101(s1), 76-88.